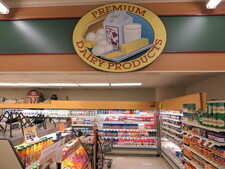 We carry a wide range of dairy products for you and your family. Milk does the body good! We carry Dean’s and Borden’s Milk plus a wide selection of Soy, Almond, and Oberweis Milk.